CSIT empowers young leaders accross the world to have a say and be heard. Young leaders empowered to act and insipre others to act in order to make a positive change. 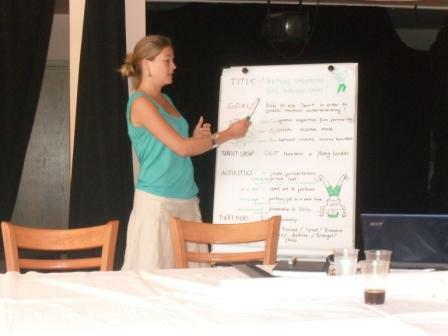 Why a young leaders working group within CSIT ? Given the worldwide context nowadays, the fact is that the population aged between 20 and 34 year old represent a little bit more than the quarter of the total world population (1 669 473 833 persons on a total of 6 928 198 253 peoples) and involve them from now is a way to train our future leaders. Young people have a very important responsability and must play a significative role in the development of their communities, countries, associations and the World. The history of the worker sport movement is one of the stronger worldwide, its values are nowadays more than never very important to spread, young people are now ready to contribute to make a change, and CSIT give them a chance! CSIT wants to give to the young people a say within its organisation, and offer them a place where they are respected and able to influence decisions on which they have strong opinions. This working group is an undeniable proof that CSIT care about the place of young leaders in a modern organisation which is looking to the future. The CSIT Young Leaders working group is a platform to work together, to talk to the young leaders, not only to talk about them. 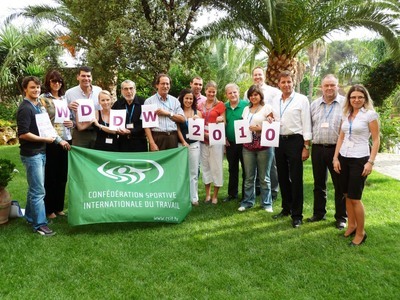 The young leaders working group is one of the official CSIT working groups. The chairman of this working group is a member of the CSIT Executive Commitee. The results of the working group are presented in front of the general assembly or congress. Find out common and unified problems of its members and work on issues and tasks of every member. How to reach all these goals ? We believe that all young people should have the right to be represented and get their voice heard through their own organisation. CSIT need the cooperation of all its members unions to make a change. We have to share the idea that the involvement of young leaders is well funded and beneficial for the CSIT, but also for its members unions, and the young leaders themselves ! Develop a two-way communication between CSIT young leaders and their organisation with all the tools available as E-mails, Facebook, Skype, Youtube, etc. CSIT young leaders are people who have been given the responsability to express an opinion on behalf of their member organisation. They develop an understanding that they represent other people and their organisations, not only themselves as individuals, and this how democracy within CSIT is considered ! Be involved in CSIT can be also tremendously rewarding when the common aims and objectives are achieved togheter through hard work. This is a team work, and an extraordinary opportunity to share with other peoples, whatever their differences (cultures, religions, race and sexuality), everyone has an equal responsibility and everyone ensure that the opinions, views and concerns of others are taken into account ! Taking part in the CSIT life bring to the young leaders an international training platform, where they can develop their skills, networks, ideas, expertises and visions. Held each year just before the CSIT General Assembly or Congress, this is the main meeting for the young leaders who will take part in the CSIT decision making process. This meeting usually deal with several points in its agenda about the running projects, new projects, assessments, and also discuss about the CSIT general policies and actions. The Young Leaders Conference is the better place for young leaders to contribute to the CSIT policy's development. The agenda of this conference must contain the main objectives of the CSIT and its priorities like the World Sport Games, for example. This is an opportunity for young leaders to be involved from the decision making processes to its operational activities. The participants of this conference identify their priorities, and projects to develop in order to involve as many CSIT members as possible, and strenghten the dialogue between them. The participants of this conference have to be identified by their organisation and contact the CSIT youth director, in order to prepare his/her involvement in the next meetings. One Representative per union member is allowed. With the support of its members, CSIT is now ready to develop and create new kind of meetings as seminars (the first was on june 2010, then november 2011). The issue by organizing CSIT Seminar is to gather people motivated to share their experiences and knowledges about specific topics. It is a good way to show how CSIT is concerned about the nowadays goals for development worldwide as volunteering, social and sport policies, health, peace, inclusion, mutual understanding, fight against racism and xenophobia, and so on. By giving to the CSIT members' young leaders these places for debates, CSIT is more visible and give an opportunity to stress on its responsability within the international sport movement through education, solidarity, fair-play, respect and friendship.